Development lands restaurant, boutique, salon, pediatrician, optometrist. The Old Town neighborhood in Columbus has been steadily putting the residential pieces of the 300-acre development together over the past couple of years. Now the commercial possibilities are rolling out. 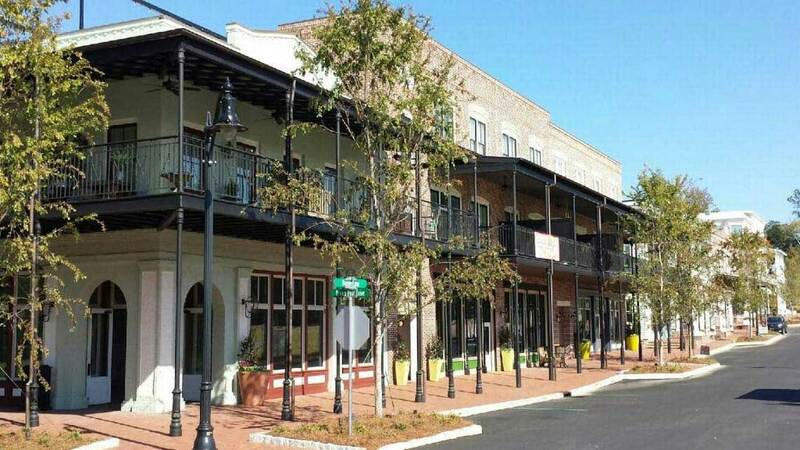 Classified as a master-planned, mixed-use property, the main street near the front of Old Town is landing various tenants that will be open not only to residents of the Southern Living-style homes, apartments and loft condos there, but also to the general public. Cathy Horne, a Realtor with the Woodruff Co., the Columbus-based real-estate firm working on the project, said Wednesday that five businesses have leased space at Old Town, with more on the way. Already open is PURE Salon, with optometrist Dr. David Rossello preparing to do so, she said. River Oak Boutique is working to get its space ready, as is Dr. Devica Alappan, a pediatrician. And a restaurant called Clean Eatz on the way. There also are long-term plans by the Woodruff Co. to develop frontage on both sides of Veterans Parkway with larger tenants. A supermarket and a major retailer such as Costco have been mentioned as possibilities. That stretch of the parkway currently is undergoing a widening project to alleviate traffic issues as the major corridor becomes more congested by residents in the area and commuters to and from Harris County. Old Town itself is accessed via Veterans Parkway and off Williams Road. It is not a gated community and the streets inside the development are narrower than most city streets in order to keep traffic at a slower pace. The homes in the neighborhood have names such as Buttercup, Chantilly, Fairfax, Lily, Repousse and Strasbourg. More than 250 homes are planned on the property over the next decade. The apartment complex there is called Swallowtail Flats.